I’m the type of person that would rather have one product do multiple uses than five products that have a sole purpose. I hate having so much clutter in my kitchen cabinets and on the counters. It’s so much easier for me to have one machine that will do it all! My only previous experience operating a food processor was as a newlywed with a unit costing less than $30. I wanted to invest a little (very little in this case) to save myself money by buying block cheese instead of those that were already shredded and helping myself avoid burns from shredding boiled chicken or dicing peppers while making Easy Cheesy Chicken Enchiladas. I had such high hopes when I bought the food processor but it was of such low-quality design that even using it exclusively for shredding cheese, chicken, and making salsa the blades were dull and the motor burned out in less than a year. Fast forward 11 years later and until recently I still hadn’t brought myself to investing in another food processor. But I just received the 12 Cup Magimix 3200 XL Food Processor from Robot-Coupe Kitchen Essentials and have fallen in love. 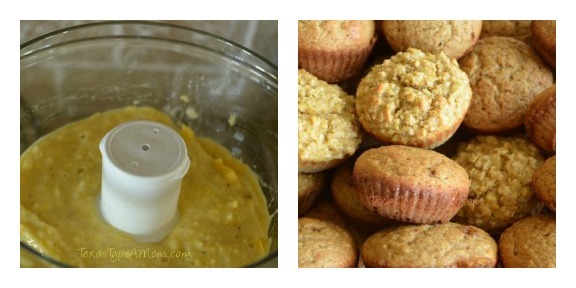 This appliance really can do it all – everything I need it to and things I didn’t even know possible with a food processor. This definitely succeeds reduces the number of appliances floating around my kitchen. The Magimix 3200 XL is not only a food processor, but also serves multiple uses and replaces a food chopper, mandoline, and grater. So far I’ve used it to shred cheese, mix batter for Peach Spice Muffins, slice perfectly uniform potato wedges for french fries, and make homemade almond butter but I’m really looking forward to using it to make my youngest daughter homemade baby food! 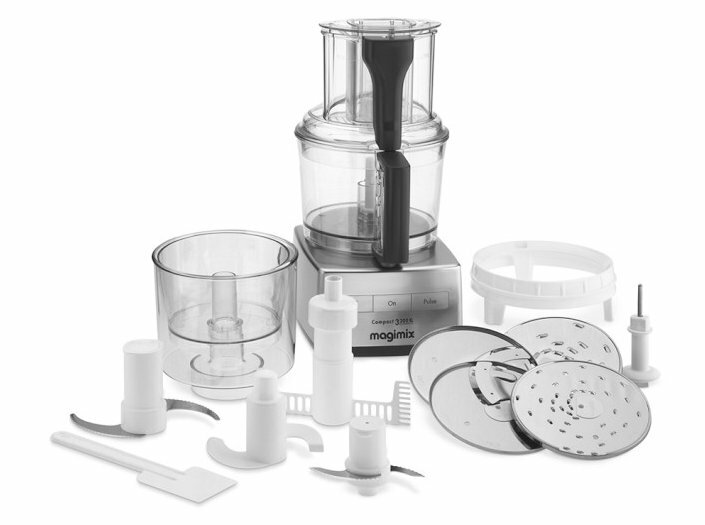 Buy It: Get your new Magimix Food Processor here. I love the Magimix! I had gotten so used to not being able to shred or slice with my old food processor that I kind of forgot that they’re supposed to do that. So cool that you can use it for baby food too instead of having to buy a separate appliance for that.